35. 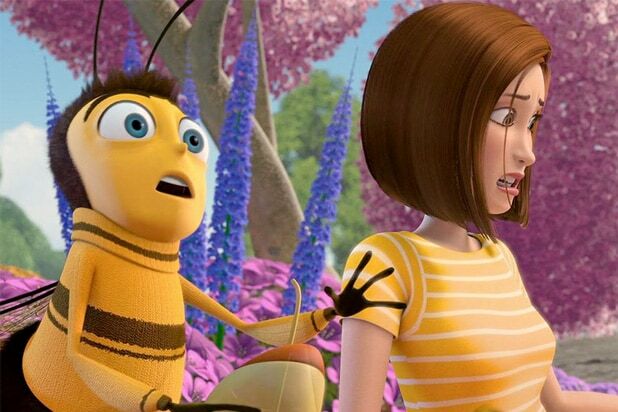 Bee Movie (2007) Would that it were simply a B movie. It's closer to a D, grading on any curve. Launched a decade after Jerry Seinfeld's mega-hit TV series, his foray into animation is surprisingly unfunny, spiritless and belabored. And weirdly, Barry, Seinfeld's bee character, becomes smitten with a human (voiced by Renee Zellweger). Doesn't that fly in the face of the laws of nature? The secret life of bees, as told by Seinfeld, is a bore with a capital B. 34. Shrek Forever After (2010) Never reaching the inspired wit and infectious fun of the original, the action scenes feel recycled. Shrek and Fiona have three little ogrelings, and have settled into pleasant domesticity. Then Shrek has a midlife crisis. Really? Is this meant for kids or adults? In this fourth, and ostensibly final, installment, Shrek & Co. still have some appeal, but the fun feels forced. Clever pop culture references have been replaced by spurts of slapstick and contrived mania. 33. Madagascar 3: Europe's Most Wanted (2012) Fast is not always fun. Nor is sensory overload the same as dynamic spectacle. This third go-round is rarely fresh, but it doesn't stint on energy or vivid colors. The series continues to focus on the value of friendships, new and old, and on imagination and resourcefulness. But the antic, loud style and dull plot don't bowl over audiences. Jokes about Cirque du Soleil and Mia Farrow sail right over young heads. But talk of a "stinky poopy circus" should make some kids chortle. 32. Penguins of Madagascar (2014) Penguins are adorable, but they may be victims of overexposure. In this limp spinoff -- the fourth movie in the "Madagascar" franchise -- they come off charmless and interchangeable. The pacing is frenetic and the animation unremarkable. The story tries to meld an origin tale, a coming-of-age saga, a slapstick comedy and even a revenge thriller, compounding a sense of joylessness and frenzy. 31. Madagascar: Escape 2 Africa (2008) This too-episodic, uninspired follow-up to the fast-paced original crams in a lot of characters -- besides the original zoo quartet -- then doesn't give them enough to do. Our giraffe, hippo, lion and zebra heroes are marooned in Africa where they incessantly jabber. Meanwhile, life lessons are imparted amid the mayhem. 30. The Boss Baby (2017) Bathroom humor is to be expected in a movie about babies -- but this one is has one dirty diaper too many. Despite the title character’s voicing by POTUS impersonator Alec Baldwin, the story feels forced and charmless. It has some of the external trappings of "Toy Story," without any of the heart. The frenetic zaniness is off-putting, the visual style muddled and the plot disjointed. “Everyone has a tickle spot,” proclaims the movie’s boyish protagonist. Not this movie. 29. Mr. Peabody and Sherman (2014) Puns plus potty humor equals Peabody. A slave to formula, it updates the TV adventures of the smarty-pants time-traveling dog and his pet boy, Sherman. It comes across as disjointed and frantically paced, though it does have moments of appealing zaniness. The 3D imagery feels gimmicky, rather than organic. The pedantic, bespectacled pooch pops off with some clever bon mots, but the movie is predictable and forced. 28. Shark Tale (2004) Story is everything and this one is thin, shallow and soupy, despite the improvisational skills of Will Smith and Jack Black. This is a watery urban tale, complete with undersea gangsters, groupies and graffiti artists. Angelia Jolie pays fish fatale Lola, and Martin Scorsese is a pufferfish, complete with the filmmaker’s signature bushy eyebrows. This world is grittier than that other watery animated adventure, "Finding Nemo," and decidedly less dazzling. 27. Sinbad: Legend of the Seven Seas (2003) Michelle Pfeiffer shows how her sultry purr can be put to use for evil, as well as good, in a role reminiscent of a slimmed-down Ursula from "The Little Mermaid." Brad Pitt plays the title rogue with a bit of "Aladdin" flair. These Disney comparisons couldn’t possibly be intentional, right? This swashbuckling adventure also features an independent seagoing woman reminiscent of Katharine Hepburn, voiced by Catherine Zeta Jones. The effects are competent, but a sense of magic is lacking. 26. The Road to El Dorado (2000) This ought to be a road not taken. Some entertaining moments, but too many flat ones pave this dull turf. Based on the legend of a lost South American city of gold, it’s a film that doesn’t seem aimed at kids or adults, though the voice talent -- Kevin Kline, Kenneth Branaugh, Edward James Olmos, Rosie Perez -- is impressive. The songs by Elton John and Tim Rice are lackluster and interchangeable. 25. Trolls (2016) This is giddy, garish eye candy with a beat -- trolls shrilly singing and dancing! A troll poops cupcakes, and that’s about the most original element in this neon-lit, hug-filled, cliché-laden affair. But expectations should be kept low given that director Mike Mitchell also made "Alvin and the Chipmunks: Chipwrecked." Catchy songs by Justin Timberlake (who also voices a paranoid conspiracy theorist) occasionally relieve the kaleidoscopic tedium. 24. The Croods (2013) This visually appealing animated adventure -- complete with colorful hybrids of prehistoric animals and striking primordial fauna -- is hampered by lackluster slapstick humor and a meandering story. 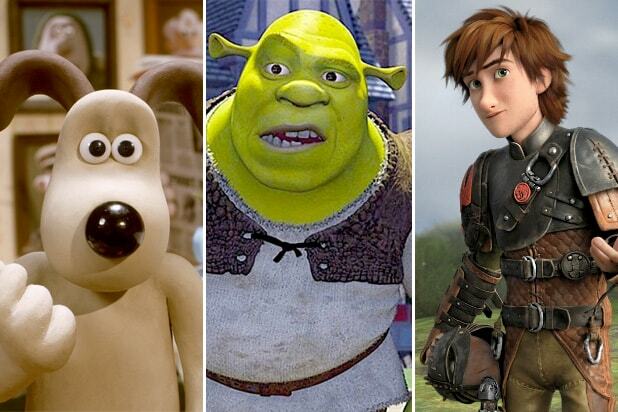 Voice work comes from Emma Stone, Nicolas Cage, Cloris Leachman and Ryan Reynolds. And Reynold’s Guy resembles Hiccup, the young protagonist of "How to Train Your Dragon," the charming 2010 animated feature also helmed by Croods co-director Chris Sanders. It’s yet another animated feature in which the action sequences need not be in 3D. 23. Home (2015) This benign sci-fi comedy hodgepodge about home, heart and outsiders struggling to fit in is brightly colored, but narratively bland. Occasionally diverting, it’s more often forgettable and well-worn, with wannabe cuteness that’s more frantic than endearing. It cribs from "Despicable Me," "Antz" and "Lilo & Stitch." Key characters, however, are admirably diverse. 22. Megamind (2010) Mod-looking Metro City is a fun visual, and Will Ferrell’s voicing of the villainous titular character has some humorous appeal, but this send-up of superhero flicks feels like a hodgepodge of other animated movies. It suffers from being the second animated movie of that year to feature a bulbously bald dastardly villain. The other was the superior Despicable Me. There’s even a character named Minion. Brad Pitt voices Metro Man, with just the right amount of vain puffery. 21. Over the Hedge (2006) A raucous, funny and relatively fresh look at the 3 C's: conservation, consumerism and consumption (of the excessive and conspicuous kind). The story, based on a comic strip by Michael Fry and T. Lewis, appealingly balances comedy and exhilarating action sequences. And parents will appreciate the gentle message about overindulgence and the value of integrity, which avoids straying into schmaltzy turf. Alas, it succumbs too often to banal slapstick antics. 20. Turbo (2013) Watching an escargot go makes for family-friendly fare. And you’ve got to love the voice cast: Ryan Reynolds, Paul Giamatti, Luis Guzman, Maya Rudolph, Samuel L. Jackson, Bill Hader, Richard Jenkins, Snoop Dogg and then some. But ubiquitous product placement and substantial borrowing from Pixar’s "Cars" undercut this underdog story. There are a few laughs until it follows the predictable route of “The Tortoise and the Hare” fable. 19. Madagascar (2005) The animation is stunning and the stylized renderings of zoo animals are friendly-looking, the manic story feels like a bunch of one-liners strung together, peppered with bathroom humor. The jokes come courtesy of comic voice talents Chris Rock, Ben Stiller, Jada Pinkett Smith, David Schwimmer and Sacha Baron Cohen. The highlight is a song and dance sequence done by lemurs, where Cohen is king. 18. Shrek the Third (2007) While the story isn’t as strong as the first two installments about the beloved ogre, the satirical situations, un-Disney jokes and fairy tale re-invention retain their zest and humor. The ironic wit feels familiar, but still satisfying and amusing. It’s a more relaxed experience, as if it’s less intent on proving it’s post-modern cleverness. And the look of the film is undeniably vibrant. 17. Kung Fu Panda 2 (2011) Despite the re-tread, things still feel fairly fresh for our pudgy black-and-white warrior, and the animation remains beautiful. Po, the titular martial artist panda, reassembles his supporting cast, Tigress (Angelina Jolie), Monkey (Jackie Chan), Mantis (Seth Rogen), Viper (Lucy Liu) and Crane (David Cross) — to confront Lord Shen (Gary Oldman), who plans to wipe out kung fu. While the story is predictable and the moral is well-worn, there’s a wonderfully inspired dream sequence with a kung-fu fighting radish. 16. The Prince of Egypt (1998) One of the earliest of the DreamWorks movies has astonishing visual effects that include an eye-popping chariot race a la "Ben Hur" and scenes of crowds swarming the pyramids. The musical numbers are unmemorable, but Moses is made a more human and relatable character in this biblical saga. It’s a bit too serious (hard not to be, given the subject matter), but the muted color palette is stunning. 15. Monsters vs. Aliens (2009) This lightly satirical fantasy pays affectionate homage to '50s sci-fi horror, while also offering topical one-liners. The U.S. president is voiced by Stephen Colbert, a stroke of inspired casting. He greets an alien spaceship by playing the five signature notes from "Close Encounters of the Third Kind," setting the tone for his officious, daffy character. "Do something violent!" he bellows at the military. Dazzling colors, winning characters and energetic visual effects work in concert, even if the 3D feels unnecessary. 14. Rise of the Guardians (2012) With its focus on childhood wonder, this 3D computer-animated fable based on the series of books by William Joyce is a visually energetic spectacle, if a little overloaded. There’s plenty of fanciful razzle-dazzle in this mash-up of mythical heroes. The notion of Santa Claus, the Easter Bunny and the Tooth Fairy joining forces like a storybook troop of Avengers action heroes is delightful, but the film grows hectic with all those figures competing for screen time. 13. Spirit: Stallion of the Cimarron (2002) The Western landscape is exquisitely rendered and Matt Damon gives voice to a wild mustang stallion living in the 19th Century. A poetic saga told with only music and narration (no talking animals here), the striking stallion is living an idyllic existence in the Old West until he’s captured by horse traders and sold to a cavalry regiment. While most humans are bent on controlling the horse, a Lakota brave wants to help Spirit. But the sappy horsey romance montages could have been jettisoned. 12. Flushed Away (2006) This witty joint venture between Aardman Animation and DreamWorks Animation blends the daffy humor of "Wallace & Gromit" with the clever lunacy of "Shrek." The tale of a pampered pet mouse flushed down the toilet and into the sewers is equal parts endearing and energetic. Hugh Jackman heads a smart voice cast who play a range of amphibians, insects and other rodents. Puckish British wit is injected into fast-paced pop culture references, but forays into bathroom humor are less delightful. 11. Antz (1998) It’s all about those voices, namely the vocal talents of Woody Allen, Sharon Stone, Sylvester Stallone and Gene Hackman. The computer animation is visually striking and the characters well-drawn, beginning with Allen as the fearful and neurotic Z. What kid—or adult—hasn’t wondered about the elaborate civilizations of ants, as we watch their numbers marching resolutely? This story appeals to our sense of imaginative wonder. While the detail is intricately compelling, the self-determination moral is clunky old news. 10. Shrek 2 (2004) Almost as funny, sweet and engaging as the first film starring the big galoot. In this one the lovable curmudgeon ogre and his neurotic donkey pal are upstaged by the dauntless Puss in Boots, charmingly voiced by Antonio Banderas, who later got a spinoff with this character, an adorable parody of his Zorro role. 9. Kung Fu Panda 3 (2016) The animation is gorgeous, vividly hued and immersive -- the bucolic panda village looks like a Chinese version of the Hobbit village crossed with Shangri La. The humor is light, if sometimes a bit corny. An engaging, family-friendly tale with a message that we always have more to learn, which feels all the more important in these anti-intellectual times. 8. Puss in Boots (2011) The dashing feline outlaw/lover/flamenco dancer in the insouciant plumed hat was the breakaway star of "Shrek 2," so a spinoff was inevitable. With his spot-on comic timing and lyrical Spanish accent, Antonio Banderas’ makes the swashbuckling charmer simply irresistible. The lively, well-written romp includes a romance with Kitty Soft Paws (voiced by Salma Hayek), but a finale that’s over the top. 7. Kung Fu Panda (2008) The gorgeous visuals in this lively story, with their Chinese-inspired details, make up for the occasionally clichéd comedy and familiar message. Jack Black’s voicing of the titular character adds to the fun. And who can resist an animated movie featuring the voice talents of such venerable actors as Dustin Hoffman and Ian McShane? 6. 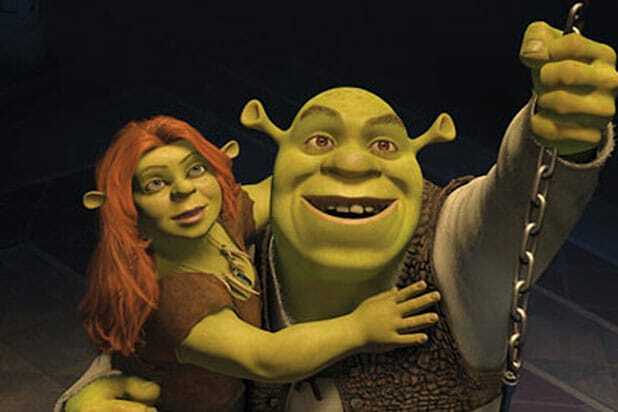 Shrek (2001) A joyous, swiftly paced and very funny subversion of classic fairy tales. It sends up the Disney formula, and builds a foundation on an endearingly hilarious bromance between an ogre and a donkey (famously voiced by Mike Myers and Eddie Murphy). Not only is it tons of cheeky fun, but it featured the first -- and best -- use of Leonard Cohen’s hauntingly beautiful “Hallelujah.” It also incorporated a wonderfully affirming message for girls courtesy of Fiona, Shrek’s love interest (voiced by Cameron Diaz). 5. Chicken Run (2000) The first feature film by clay-model animation pioneer Nick Park lived up to the promise of his enchanting short animated features like "The Wrong Trousers" and "A Close Shave." Who would have guessed poultry, egg farms and heavy machinery would be the fodder for such delicious wit? Add a prison camp thriller setting and the absurdity is complete. It’s an animated wonder that’s possibly even more fun for adults than kids. 4. Wallace & Gromit: The Curse of the Were-Rabbit (2005) With whimsy, wordplay and eccentricity aplenty, this perfectly paced mystery is inventive and delightful, featuring Nick Park and Ardman Animation’s daft English inventor and his loyal, stoic mutt. Its silly core is irresistible, as is its consistent cleverness. Absurd, good-hearted, meticulously designed and quintessentially British in humor, there’s nothing cheesy about this inspired celebration of fromage and fun. 3. How to Train Your Dragon: The Hidden World (2019) Dean DeBlois’ delightful, gorgeous, and touchingly conclusive third adaptation of author Cressida Cowell’s fantastical universe of Vikings and fire-breathers fuses the cute and the dark. 2. How to Train Your Dragon 2 (2014) The rare sequel that feels organic and necessary, building on the original’s charm with resonance, character detail and exciting adventure. It’s more ambitious and darker in scope, with poignant moments of subtle emotion. For instance, the hero’s parents re-unite to a gentle folk song, not a massive production number. It’s humorous, moving, funny and thrilling. Plus, we get to meet a bewilderbeast, who Toothless faces in battle. 1. How to Train Your Dragon (2010) Audiences are joyfully transported watching Hiccup, a gangly teenage boy and Toothless, his beloved, green-eyed winged dragon, soar above the Nordic landscape. It’s a rare movie aimed at children in which the hero faces -- but doesn’t fully overcome -- peril. While Hiccup is undeniably courageous, he loses a leg. There’s nuance, mystery and narrative heft here amid the brisk pacing and exhilaration. The 3D animation is indelibly beautiful.